Meanwhile, in 8-inch skillet, heat oil over medium-high heat. Add bell pepper and onion; cook 3 to 4 minutes, stirring frequently, until crisp-tender. Remove from heat. Stir in roast beef. Divide roast beef mixture evenly onto crusts. Sprinkle with cheese. Bake an aditional 10 to 12 minutes or until cheese is melted and crust is golden brown. 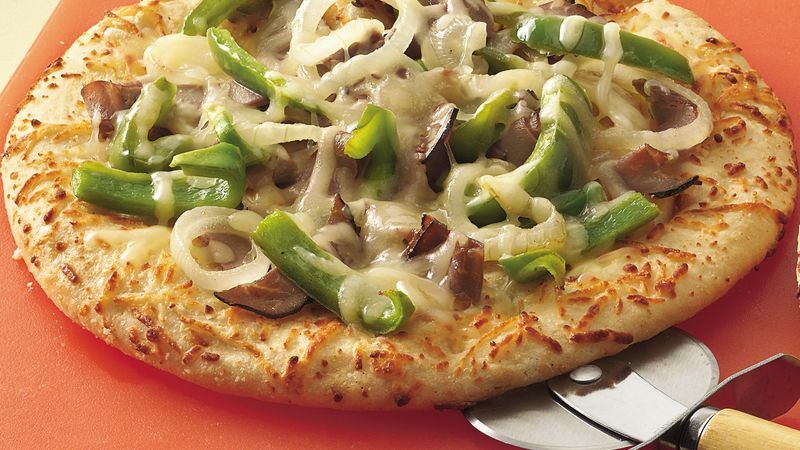 Try shredded pepper Jack cheese or slices of provolone cheese instead of Swiss.